Rick Thomas is a composer, sound designer, author, playmaker, and educator. He is a Fellow of the United States Institute for Theatre Technology, where he was honored with the Founder’s Award in 2008, and an elected member of the National Theatre Conference. As a certified sound designer in IATSE Local 1 (New York NY), Rick has composed scores and designed sound for over 100 productions including the Hong Kong Repertory Theatre, Dublin Theatre Festival, Colorado Shakespeare Festival, and ESPN television among many others, and exhibited his work in the Czech Republic, Israel, Cuba, Korea, the Philippines, Finland, Poland and across the US and Canada. 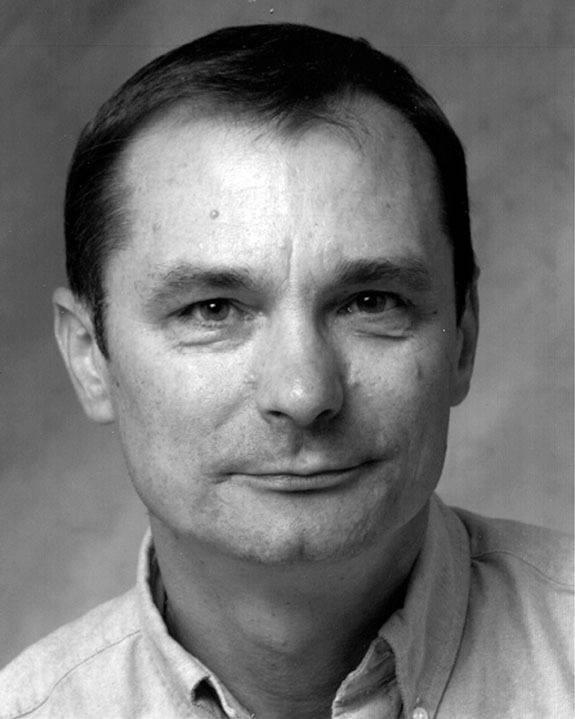 Rick has written about the art and practice of theatre sound extensively for Theatre Design and Technology Journal (winning the 2002 Herbert Greggs Award for Outstanding Journal Article), has published the first monograph on sound design, The Designs of Abe Jacob, and contributed to Ross Brown’s book, Theatre and Sound. Rick has lectured extensively, including the Broadway Sound Master Classes, the film institute at Babelsburg, Germany, the Bregenzer Festspiele in Austria, the Prague Quadrennial, World Stage Design in Korea, Synergetic Audio Concepts, the Audio Engineering Society (AES), the Acoustical Society of America, American Theatre in Higher Education (ATHE), The United States Institute for Theatre Technology (USITT) and many universities in the US and abroad. In these lectures, he introduced an extraordinary number of new concepts to theatre starting with demonstrations at the 1980 USITT National Conference in Kansas of the use of sound effects in the theatre, continuing in 1981 with a demonstration of synthesizer usage, and in 1987 with a demonstration of the practical use of digital samplers. In 1990 he demonstrated many new digital technologies working together in Bloodbath of the Living Dead in 3D, which he and a group of Purdue students premiered at USITT National Conference in Milwaukee. He created the first known public exhibition of a theatre sound score for the 1984 USITT National Conference in Orlando. In 1987 he worked with the Jeff Awards Committee in Chicago to establish one of the first awards for sound designers in theatre. He was first to publish articles in 1987 and 1988 drawing attention to the need for copyright clearance and sound designer unions in theatre. He co-created the first Scenofest at the 2003 Prague Quadrennial, introducing sound to the legendary exhibition, and went on to co-create the inaugural World Stage Design in Toronto in 2005, in which he also curated the sound exhibition. As a playmaker, Rick has also sought to push the boundaries of theatre both technically and aesthetically with original works including Awakening, The Creature, The Life of Umbrellas, The Art of the Fugue, Labcoats on Clouds, The Ministry of Funny Noises, and Ad Infinitum³. As an educator, his efforts to facilitate learning in theatre sound have been recognized with the Murphy Award and inclusion in the Book of Great Teachers at Purdue University. He is the founder of the OISTAT Sound Working Group, former USITT Sound Commissioner, and former member of USITT’s Board of Directors.